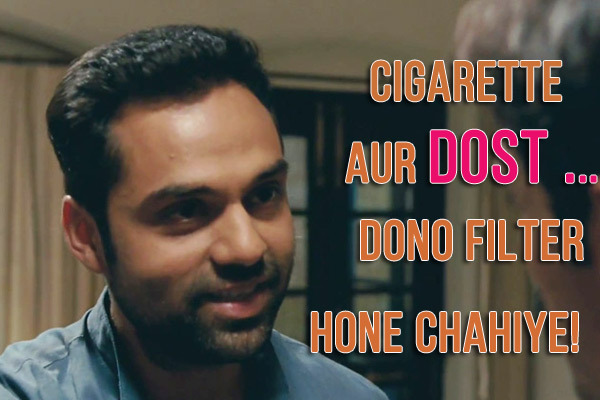 Bollywood films are a treasure cove of knowledge. You can learn a lot of info from watching movies itself, without having to go to any school. Like where you can learn that it is easy for a guy to woo a girl by relentlessly stalking her? Or you can easily bash 15 goons on the go if you have goodness in the heart? Or Pakistan and India can even be friends, if a Salman Khan crosses the border? 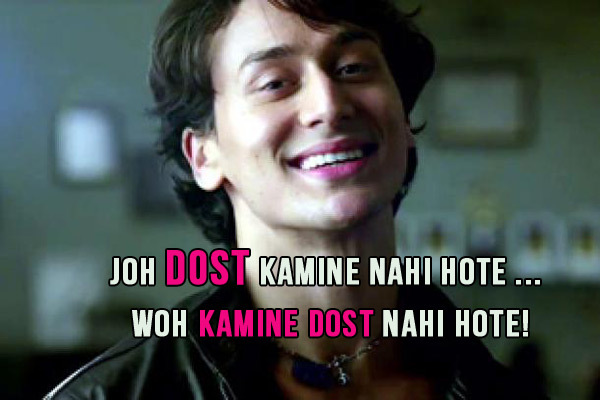 So, today on Friendship Day, we will let Bollywood teach you 10 friendship lessons with the help of coolest quotes ever! 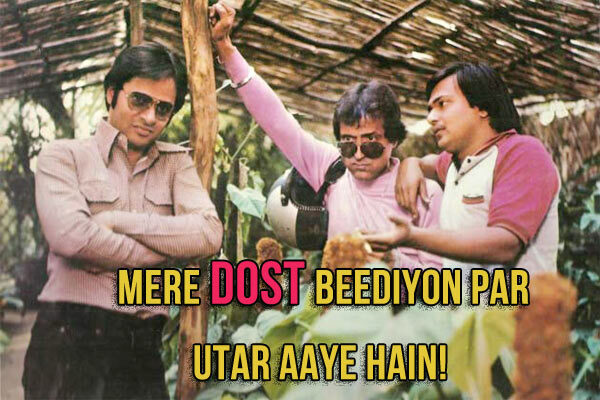 The best line to use when your friends begin to act miserly, after their father stopped giving them pocket money! 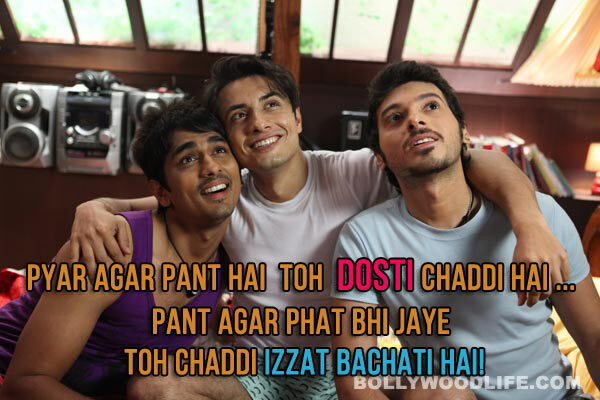 The best definition of friendship post Y2K! The best dig to throw when two of your friends, who haven’t met before, give you the royal ignore and starts chatting! 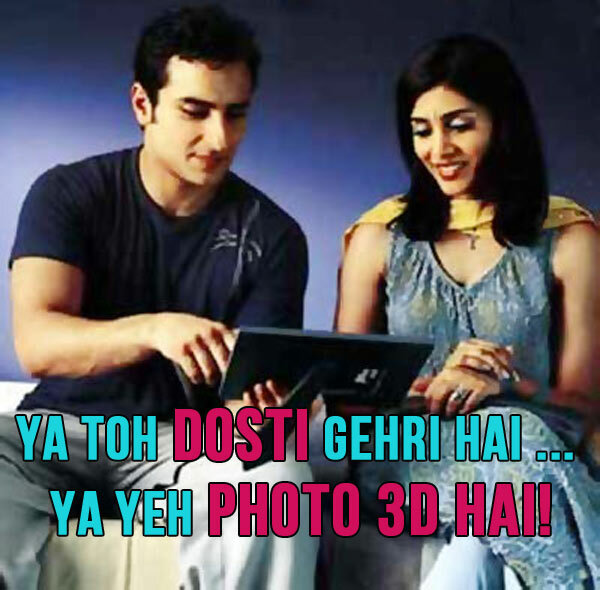 …this is what every single friend would be saying to their married friends! The cutest pickup line to use for hitting on your hottest girl friend! The best way to praise your useless friends in front of your parents! And also, on behalf of Shockedyou.com, I wish every user logged on to this site a Very Happy Friendship Day!